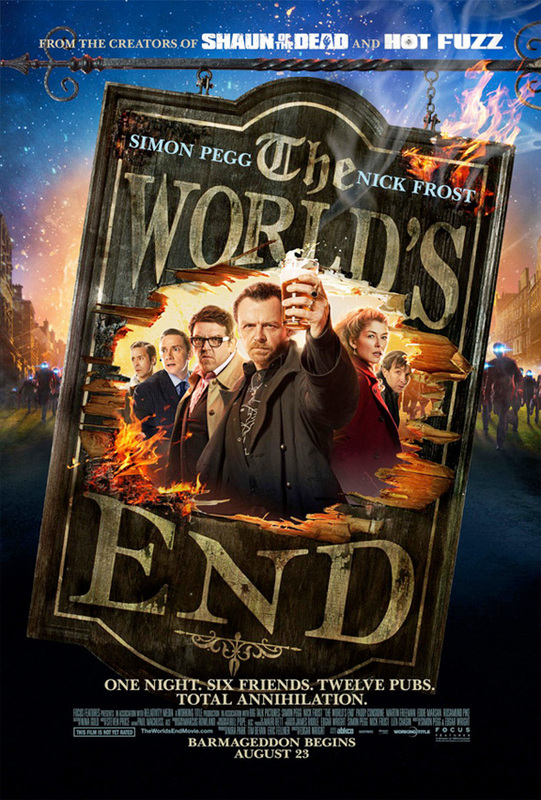 Following the first teaser trailer from across the pond for Edgar Wright's newest comedy The World's End, we have two new posters with pub crawl attendees Simon Pegg, Nick Frost, Martin Freeman, Paddy Considine, Eddie Marsan and Rosamund Pike. We're still not sure what kind of threats the whole crew will be facing, but as with the other teaser poster, this shows some kind of horde of people with glowing eyes, maybe Invasion of the Body Snatchers style or something. 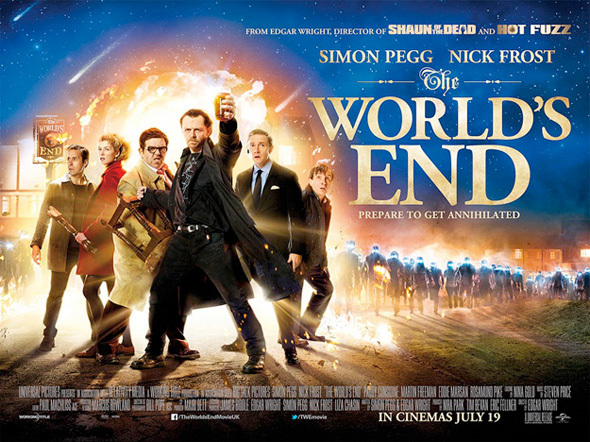 Either way, this should be a very satisfying conclusion to the Three Flavours Cornetto trilogy following Shaun of the Dead and Hot Fuzz. I love how Pikes weapons is a stool leg. Much like Ron burgandy's in the anchorman brawl.